Injured on the job? Follow these simple instructions to document the injury. 1. Notify your supervisor. Your supervisor will notify the Health and Wellness Coordinator and Assistant Chief of Operations. 2. If needed, seek medical attention. For career members request medical provider; initiate L& I claim. If you are a volunteer, and need to seek medical attention, ask the medical provider to invoice NWFR directly. If they are unable to do so hve them invoice you and send the invoice to NWFR. Complete a BVFF Report of Accident #5580 and take with you to your doctor appointment. Be sure to print on legal size paper. If you are unable to take the report with you, complete it upon your return and send it to the doctor as soon as possible. 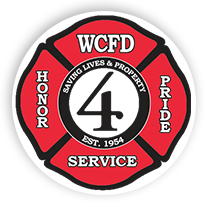 Complete a Board for Volunteer Firefighters (BVFF) Accident Report Card. You must keep in regular contact with your supervisor AND the Health and Wellness Coordinator with updates on your condition, scheduled appointments, and future prognosis. You may not return to active duty until form 0400.0023 Physician’s Return to Duty Evaluation is completed by your physician and submitted to Health and Wellness Coordinator. The District may require you to complete a Return to work Physical District Occupational Physician prior to returning to duty. Was the injury the result of a vehicle accident involving District apparatus? Be sure to notify your supervisor immediately. Complete form 0400.0021 Vehicle Accident Report. Was the injury related to an occupational exposure to airborne or blood-borne pathogens?